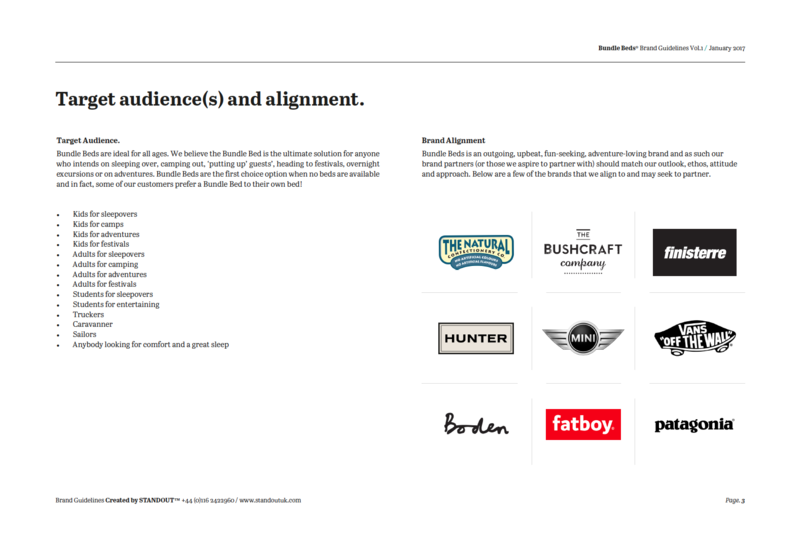 For some time Dan (our MD) has been mentored by the former global COO of Interbrand, the worlds largest brand agency. 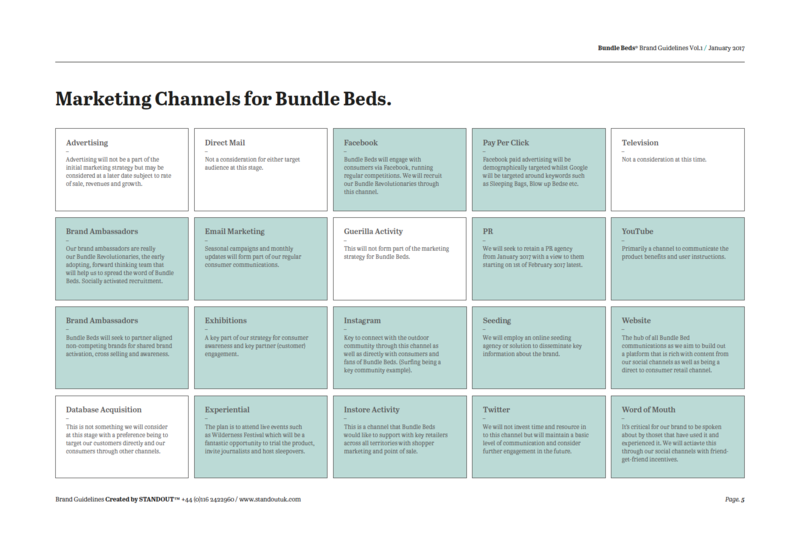 It was through this connection that we met the Bundle Beds founders. 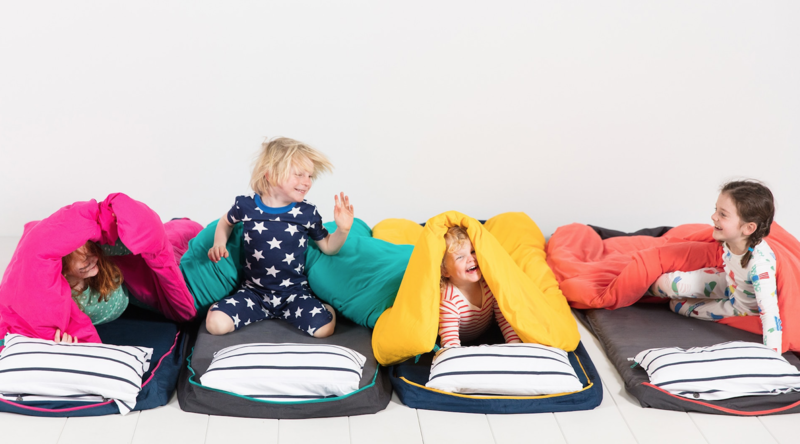 Initially it was a meeting to share some ideas and experiences in launching a product but quickly developed in to a relationship that would see Standout backing Bundle Beds in return for a minor equity stake. 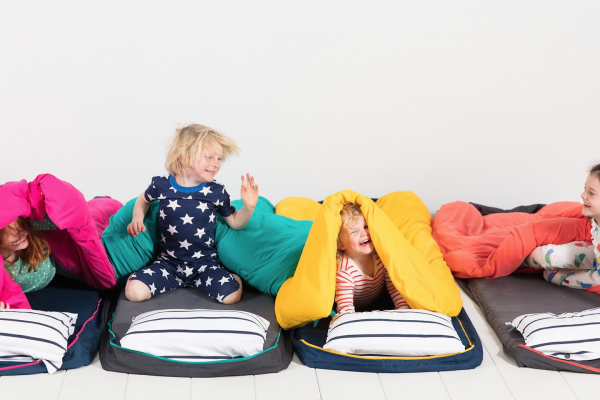 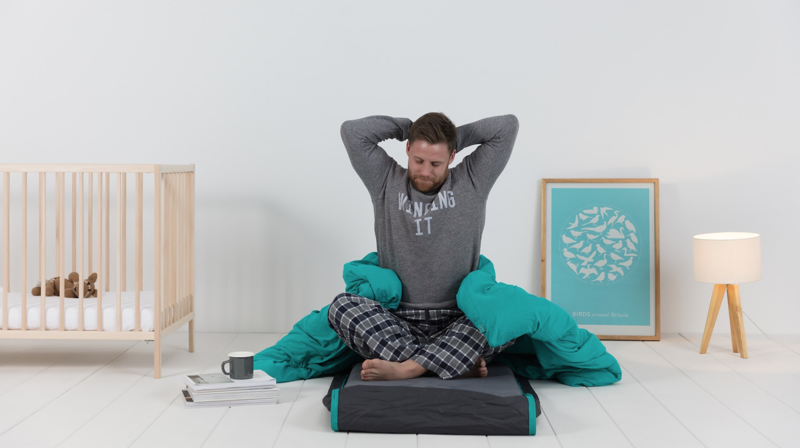 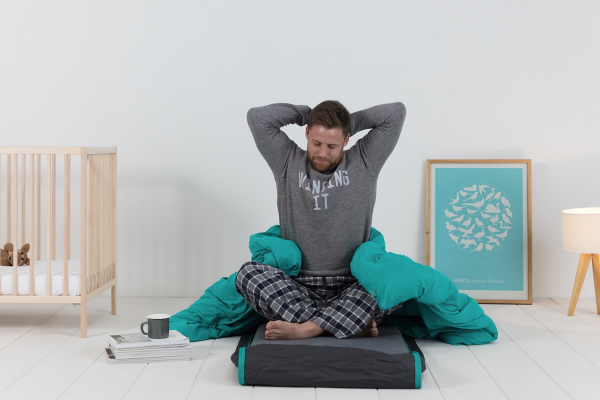 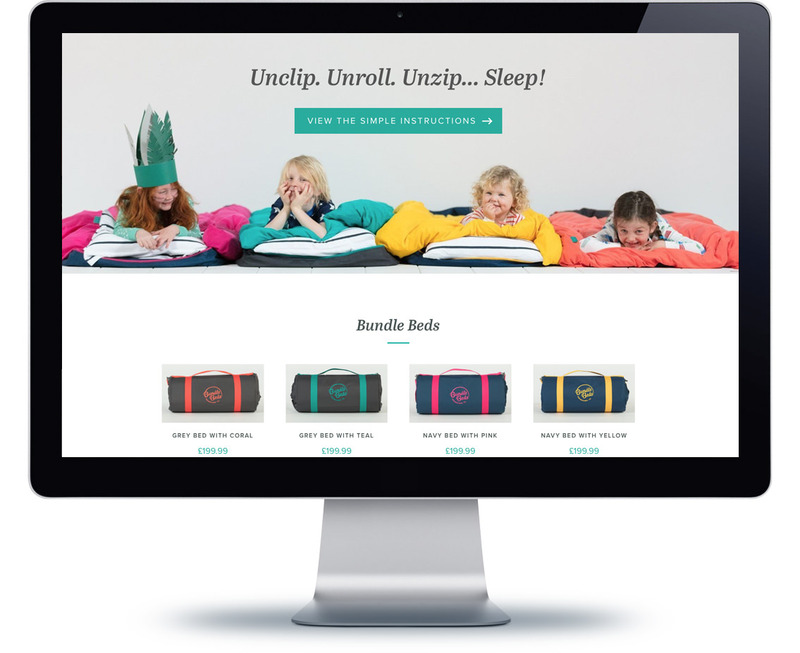 Agencies are frequently asked to ‘back’ new launches – often with limited success – but there was no hesitation on our part with Bundle Beds as the product is fantastic and the founders are the ‘real deal’. Our first job was to refine the brand and positioning and ensure that everything was in shape before creating the new website, sales tools and trade marketing documents. 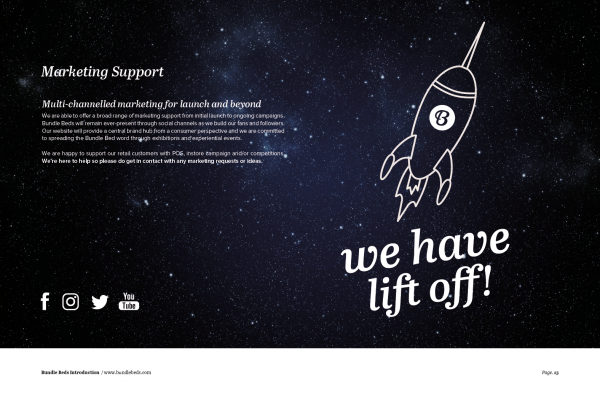 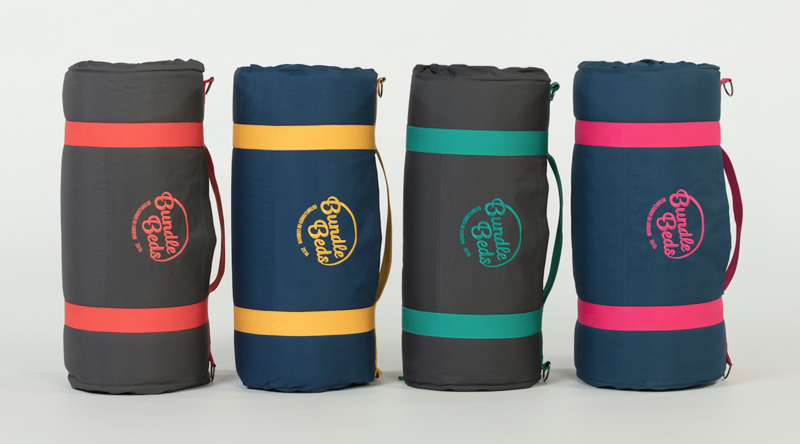 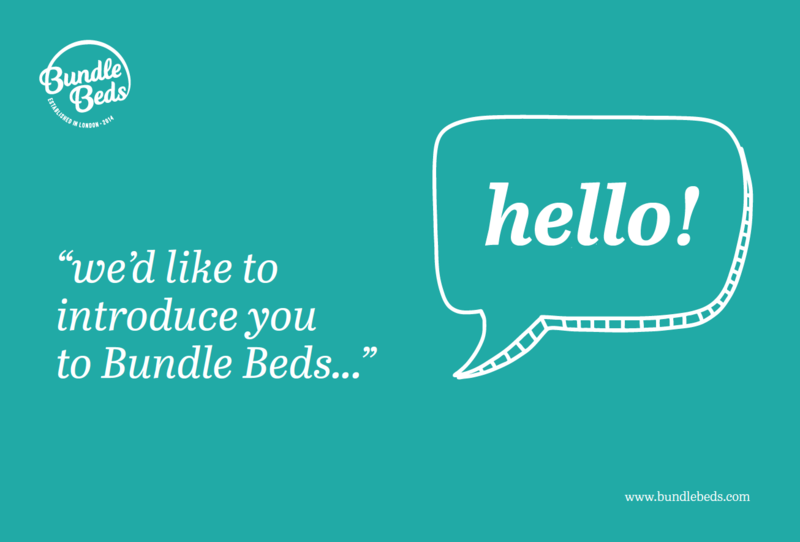 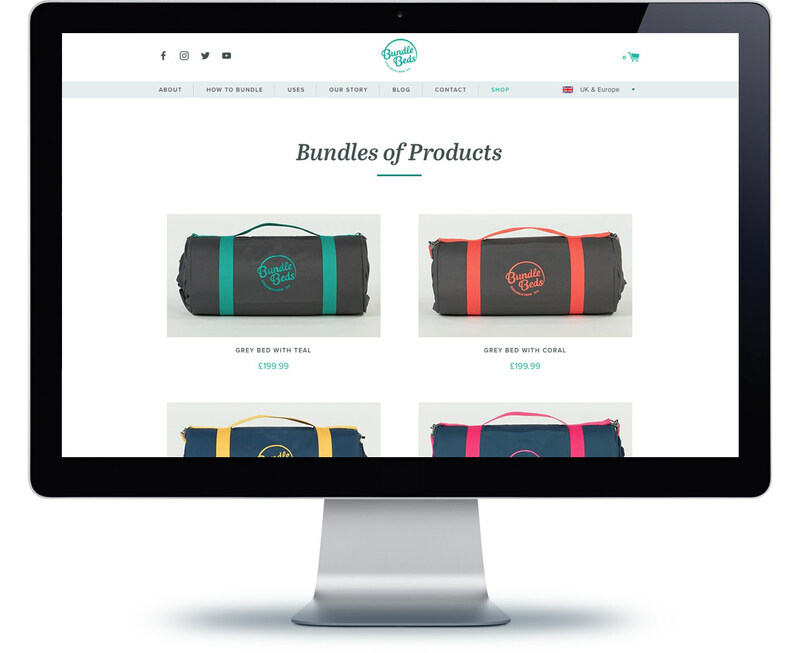 We are providing ongoing support, creative and marketing services and are as excited as the Bundle Beds team for the future potential of the brand. 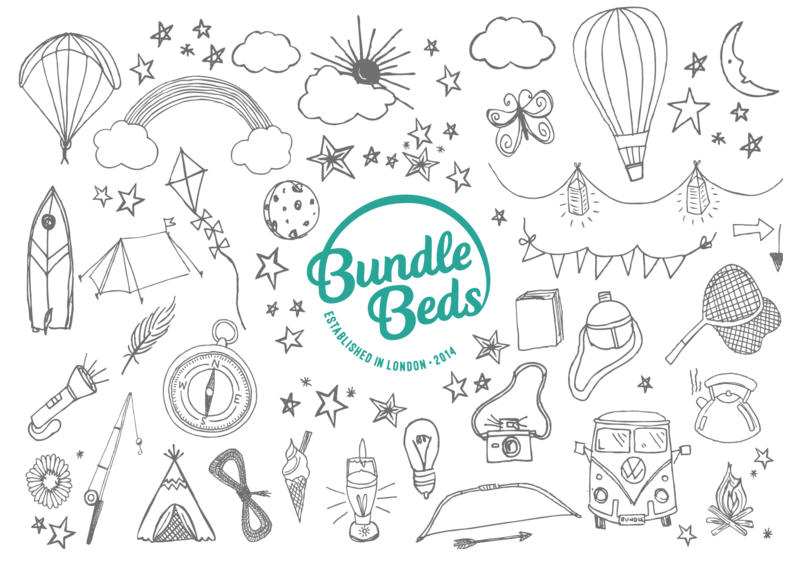 We’ve also been bundling ourselves at the Wilderness and Shambala festivals – proud owners (and ambassadors) of our own Bundle Beds! 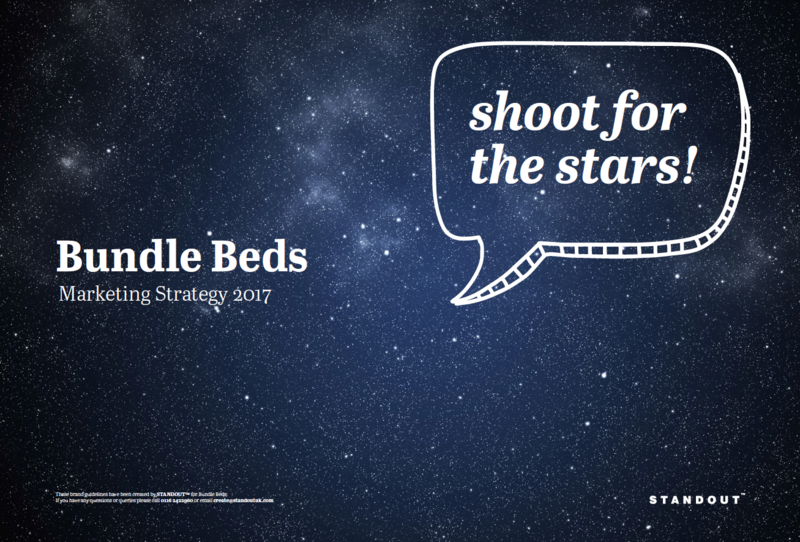 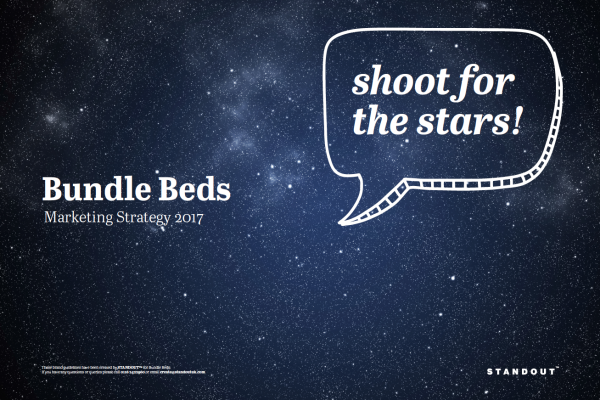 Standout have created a number of key documents for Bundle Beds including retailer specific documentation, generic sales documents, marketing strategies and brand introductions. Consistency of brand is important – or rather – it’s essential for any business whether just starting out or already established. 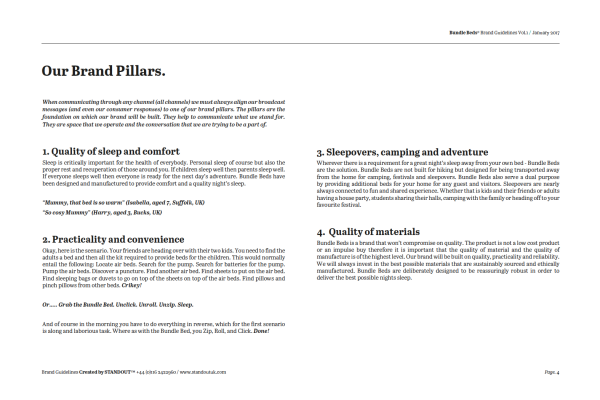 These documents all deliver a message and feeling and provide the recipient with an idea of what your brand ethos and attitude is. 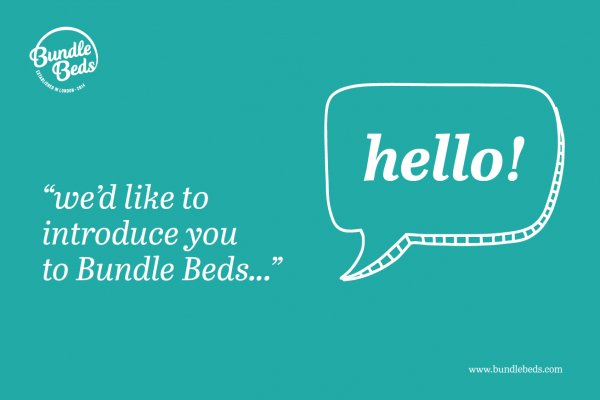 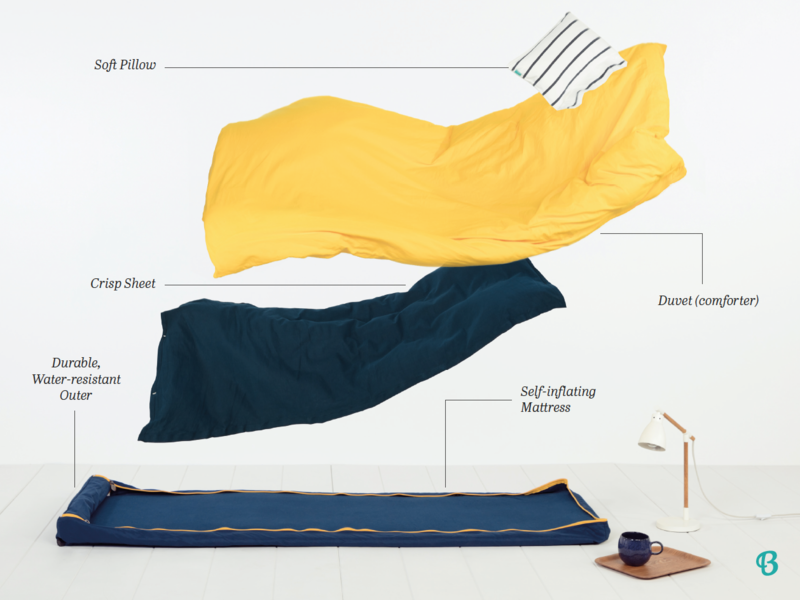 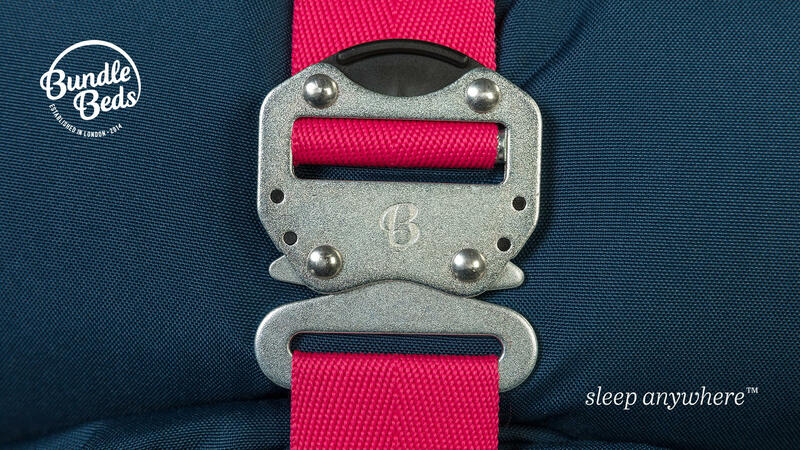 Bundle Beds have a number of illustrations as part of their brand assets. 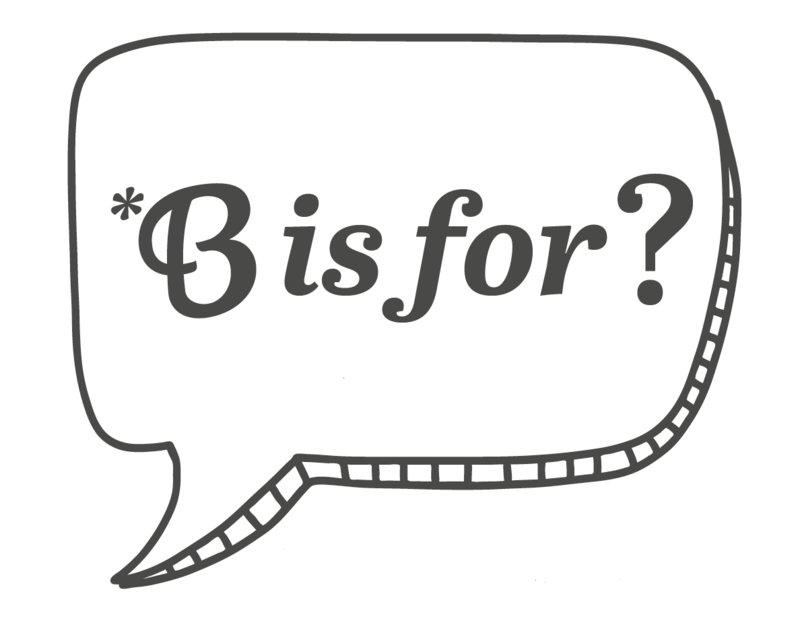 We’ve added further illustrations to help communicate their instructional guides – avoiding the need for almost any words. 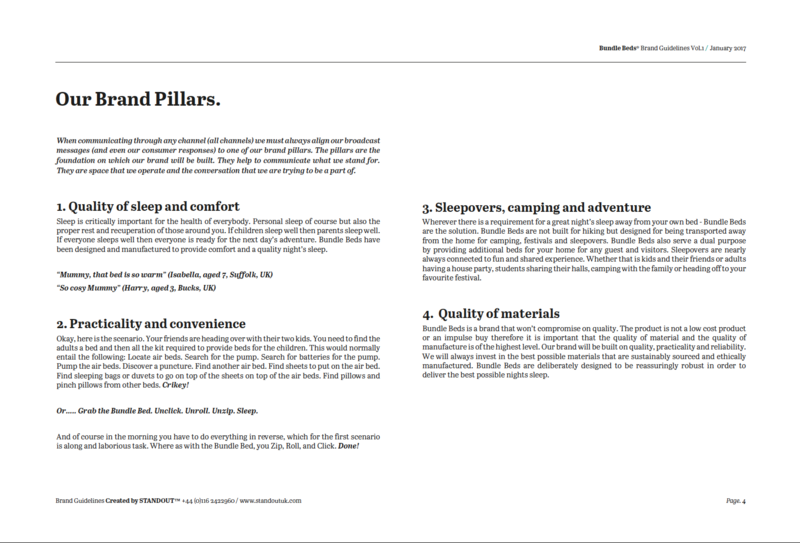 The illustrations are deliberately relaxed and quite free in their execution which aligns to the overall ethos of the brand.